It’s hard to believe that baked gluten-free donuts without any eggs, dairy, soy, or other top allergens could look this amazing. But they do. 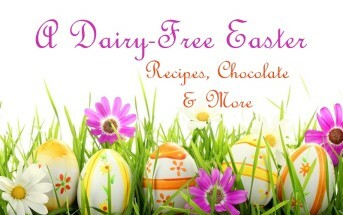 In fact, this lovely recipe graces the cover of the new So Delicious Dairy Free recipe book, SO Delightful! 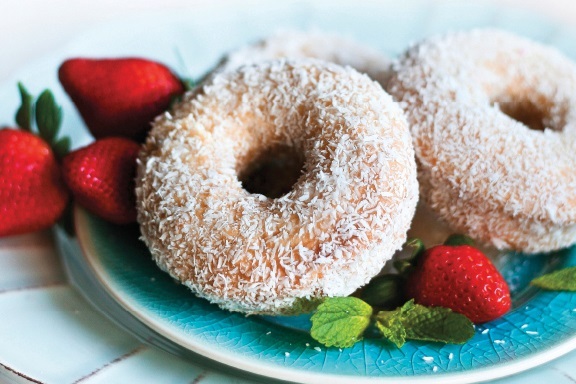 The gluten-free donuts themselves are delightfully sweet, but the sugary vanilla glaze ups the indulgence factor while the quadruple dose of coconut (coconut milk beverage, coconut oil, coconut in the batter, and coconut coating) tames the sweetness and turns the flavor profile to “coconut lover’s.” If you aren’t a big coconut fan, you can omit both uses of unsweetened coconut. The coconut milk beverage and coconut oil will virtually disappear into the batter, adding richness without too much coconut influence. But since I do buy a lot of coconut products and flours, I’ve included links in the recipe below for the brands that I recommend for price and quality. 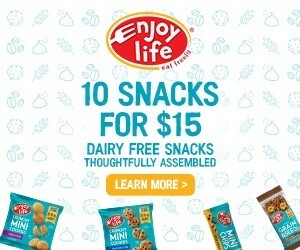 This post is sponsored by So Delicious Dairy Free. 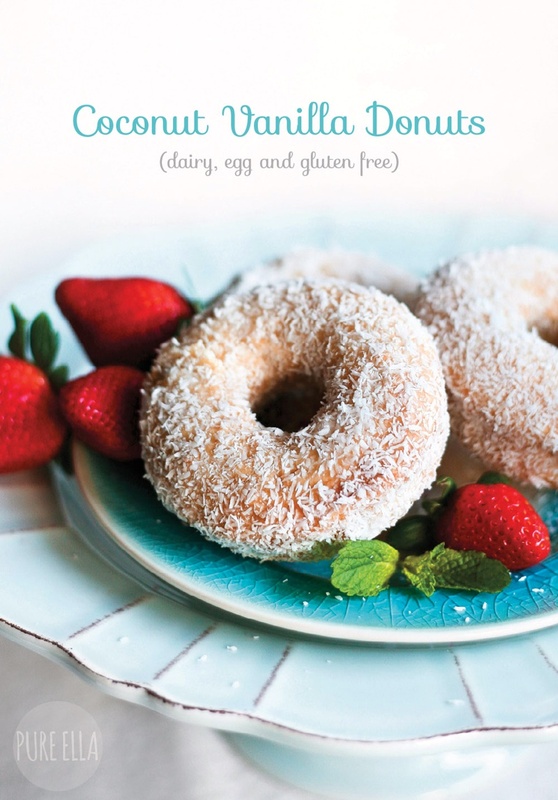 This gluten-free donuts recipe and the photo were created by Ella Leché of Pure Ella (formerly Lifeologia), and embraced by So Delicious. 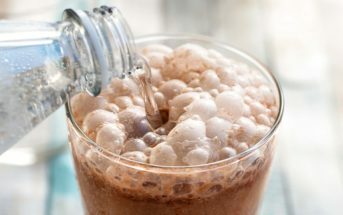 They shared the recipe and photo with us and we have since updated with Ella’s new website and a photo that includes Pure Ella’s watermark, too! 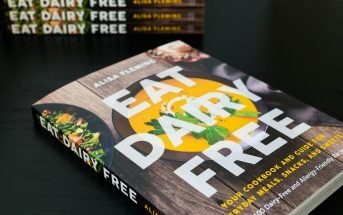 By ingredients, this recipe is dairy-free / non-dairy, egg-free, gluten-free, nut-free, peanut-free, soy-free, vegan / plant-based, vegetarian, and generally top food allergy-friendly. 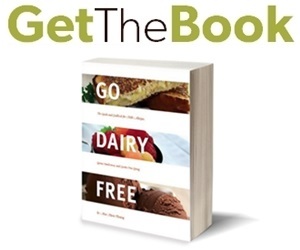 Not Gluten-Free? For those of you who do not have gluten-free needs, you can omit the xanthan gum and use 1-1/2 cups all-purpose flour in place of the flours and starches. But keep in mind, results may vary! Recipe and photo by Ella Leché of Pure Ella (formerly Lifeologia). This is the amazing cover recipe for the cookbook, SO Delightful. Grease a 6-donut pan with coconut oil and preheat your oven to 350°F. Sift together the flours, starches, baking powder, xanthan gum, baking soda, and salt. Place the coconut milk and oil in a medium-sized pot over low heat. Warm while gently mixing until the coconut oil melts (do not allow to boil). Remove from heat and whisk in the sugar until it dissolves completely. Stir in the applesauce and vanilla extract. Bake for 15 minutes. Allow the donuts to cool 15 to 30 minutes in the pan. Gently scrape the sides of each well and flip the pan over to remove. You can use a toothpick to help the donuts lift out of the pan. Make a glaze by whisking the powdered sugar in a small bowl while adding the hot water 1 tablespoon at a time. 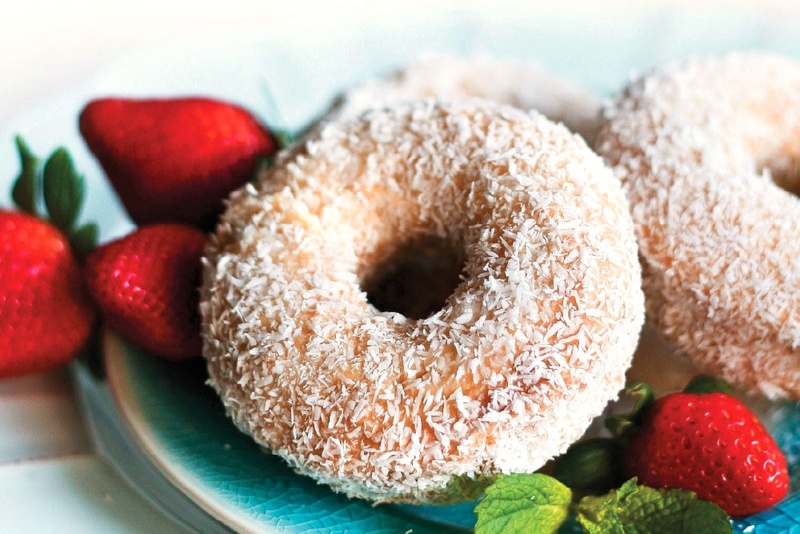 Coat the donuts thinly with the glaze and drop onto a plate with coconut flakes to coat all over. 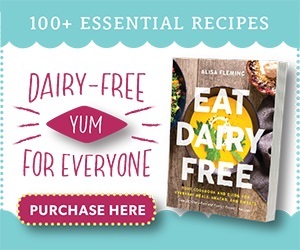 Anytime Ella – such an amazing recipe! How incredible do those look?! 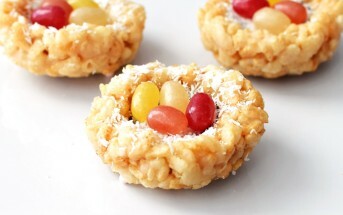 What a great way to use coconut. And I love that they are baked!